What if the forecast predicts rain for the day of my appointment? If it is not raining it is our policy to complete the job as scheduled. If it is raining but the precipitation is light we will proceed as scheduled because rain does not effect the cleaning (see next paragraph). 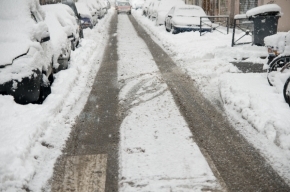 In the circumstance of heavy rain or showers, outside work is completed within 2 or 3 clear days. All inside work is completed as scheduled to avoid disrupting your busy calendar. All appointments with inside cleaning services are confirmed by telephone the morning of service. Inside your home airborne dirt from heating & cooling systems, fingerprints, pet smudges and cooking residue all collect on your window surfaces forming a hazy layer. Outside your home other contaminants such as dust blown from the wind and lawn machinery, bird droppings, acid rainfall and tree pollen obscure your view. Choosing Excellent Window Cleaning will allow you to enjoy the beauty of your home and see clear views of your neighborhood scenery. 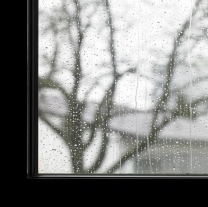 Your windows are guaranteed to look great in any kind of weather. Whether it's 70 degrees and sunny or it rains after your window cleaning service is completed, you can rest assured that your home will look great! If for any reason you are not pleased with your cleaning service, let us know and we'll make it right, even if it rains (see our Rain Guarantee)* Please contact us within 48 hours of your window cleaning service if you are not satisfied with the appearance of your windows so that we can promptly address your concern. *Clean glass will stay looking great even after it rains, however if it rains within 12 hours of your window cleaning service and you feel your windows still don't look great we will come back and re-clean them. Guarantee not valid on windows with exterior screens if screen cleaning was not requested with window cleaning service. Your request for us to reclean your windows must be made to us within 48 hours of your original window cleaning appointment.